The main story throughout all the games is that Link, the player, must save Princess Zelda from the evil Ganon, also called Ganondorf (it depends on the game, sometimes he’s both). What connects all these games together is that none of the Links, Zeldas, or Ganons in each game are the same. These three entities are constantly being reincarnated in different forms through different Hyrules, with Link and Zelda always returning to fight and defeat Ganon. Turns out that the main fight with Ganon had already occurred and Link had been defeated. 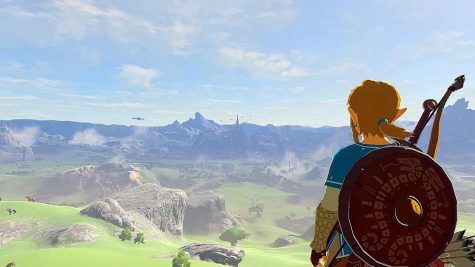 Waking up in the shrine of resurrection 100 years later, with no recollection of his past, Link immediately goes to work discovering a new, expansive Hyrule, unlike any Hyrule before it. 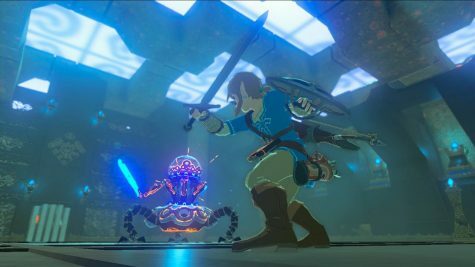 Breath of the Wild has this trend of breaking significant boundaries, while still keeping the same Legend of Zelda layout. Even from the start, there is no eternity-long tutorial, but rather a tutorial plateau, allowing players to explore and learn the controls on their own, while still providing some guidance. 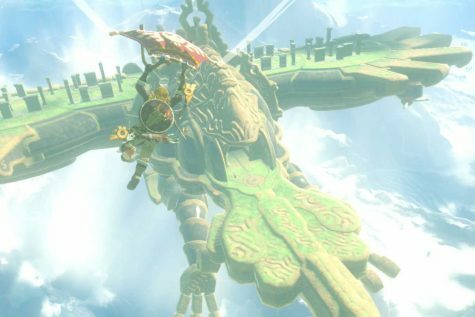 When Link passes the tutorial and gains the paraglider, possibly the most important/used item in the game, he thrown into the post-apocalyptic, techno-fantasy world of Hyrule, where the expansive world and deadly monsters will stop at nothing to kill Link. 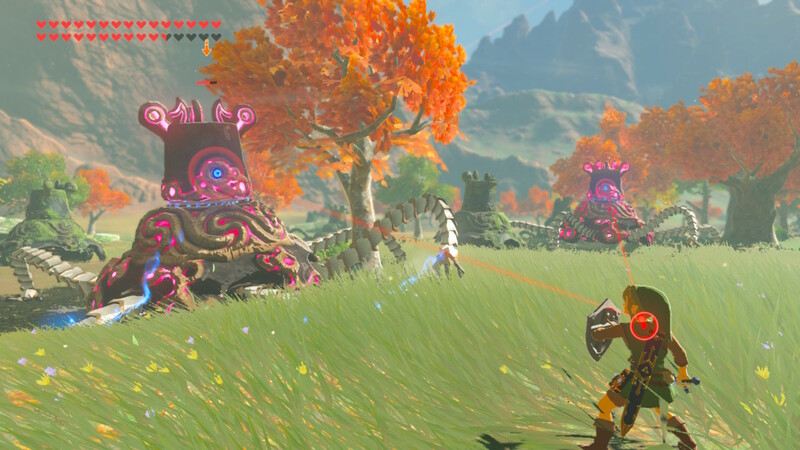 Along with this new style of enemies and tutorials, Breath of the Wild’s cell-shaded style mixed with Skyward Sword’s artwork makes for an unique, breathtaking Hyrule to explore. No detail goes unfinished, from the windy grass in the plains, to the footprints in the snow left by Link. This game is a visual masterpiece, description pales in comparison to actual gameplay. Using the capabilities of the new Switch console, Link is able to have many abilities with all the buttons on the controller. With the Switch’s new Joy Cons, Link is able to call his horse, use his sword, shoot arrows, switch between arrows and even things like using the main item, the sheikah-slate, to summon bombs and move items with magnetism, all while never pausing the game to switch items. However, with all these new shortcuts, the monsters become more difficult to defeat and the puzzles become more difficult to solve. From the start of the game, you will die at least once before you get to Kakariko Village, often times from fall damage, fighting something you aren’t prepared for, or even just trying to jump off the plateau too early. I know everyone tries to do it. 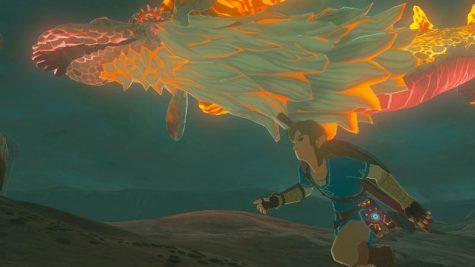 But even with these many opportunities to die, Breath of the Wild becomes very easy to learn and eventually master, while still providing many challenges for all levels of players ranging from weak red bokoblins to a much stronger silver variety of other monsters such as moblins, lizalfos, and the very intimidating lynel. Just defeated your first red bokoblin with a stick, good job! Now you can try something a little harder, how bout this silver lynel right outside the plateau! The only thing that’s possibly scarier than coming across a lynel in your travels, is hearing the music change from a peaceful ambiance to an aggressive piano melody. If you don’t have any ancient or bomb arrows, your only hope is to outrun the mechanical guardian that is now chasing after you. 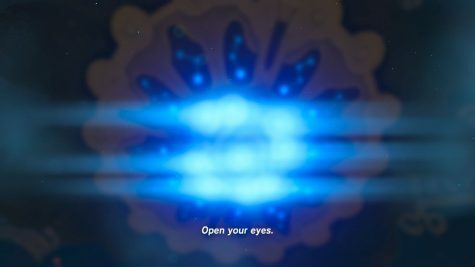 Despite the new terrifying monsters you might encounter, Breath of the Wild uses these entities to create a beautiful and heartbreaking story. With Link losing all his memories from his 100-year-long nap, he has no recollection of the world around him. But through pictures left on the Sheikah-slate, Link is able to find these locations and remember key events from the past, that weave together a beautiful story of love and loss and possibly the closest relationship between Link and Zelda throughout all the games. Fans of previous Legend of Zelda games, as well as newcomers to the series, will love the new intelligent style of Breath of the Wild. This game features a little bit of everything, from survival, to dungeon-crawling, to even some instances of thriller games, making Breath of Wild something that fans from all different types of games can play and appreciate. 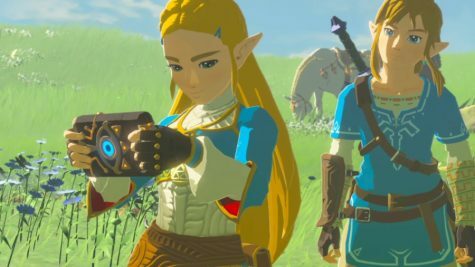 Overall Breath of the Wild ties together challenging gameplay with a beautiful landscape and beautiful story, making this Legend of Zelda game, an entirely new experience, while still keeping the Zelda spirit alive all throughout the game.